Our engaging daily themes run throughout the week on our Facebook page, group and secret group. Each day is unique in the way we support, encourage, and equip all our members to assist recovery and healing (every day is available for support and sharing). Monday: WRC Life Coaching – Coaching is the universal language of change and learning provides support and tools to support all aspects of life. Tuesday: Inspiration – Sharing inspirational words or images to offer something valuable, uplifting, which motivates others to bring out the best in themselves. Wednesday: WRC Professional Perspective – An opportunity to hear perspectives from our trained professionals, and ask those questions you never know who to ask. 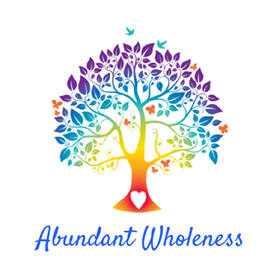 Thursday: WRC Holistic Health & Wellbeing – Your body holds deep wisdom. Trust in it. Learn from it. Nourish it. Watch your life transform and be healthy. Friday: Friday Funny – We all need a good laugh, and laughter is the best medicine after all. Saturday: WRC Spirituality – A sense of connection to something bigger than ourselves, embracing all forms of spirituality. Sunday: Share Your Story – Healing is possible when we have the courage to share our personal experiences with others. Don’t be ashamed of your story, it will inspire others.